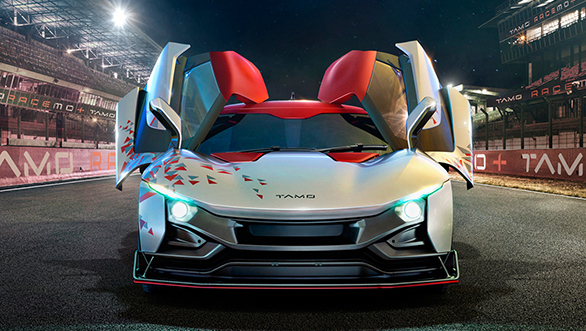 Tata Motors have taken yet another step in an unconventional direction with an all new division called TAMO which recently unveiled their first product at the Geneva motor show, the Racemo. Tata Motors had just a few weeks earlier announced plans to kickstart a whole new business venture that would bring together various aspects of their automotive business in a set of unique products. The Racemo is the first of these products, a sports car built on a wholly new modular platform called MOFlex MMS that could in the future also spawn hatchbacks, sedans and SUVs. The Racemo was built using the in-house expertise of Tata Motors Engineering Research Centre (ERC) based out of Pune and their European Technical Centre (TMETC) based in Coventry, United Kingdom. 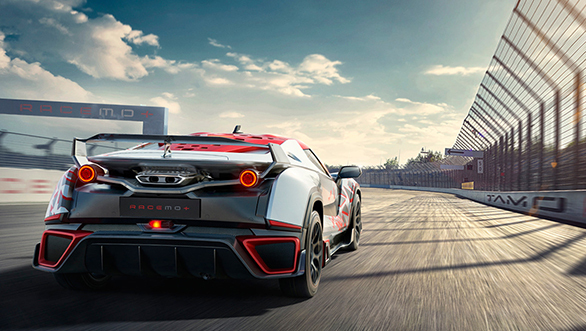 The project kickstarted just a little under two years ago, it was designed at Tata Motors Design Studio in Turin with renowned automotive designer Marcello Gandini initialising the early platform. The project IP was acquired by Tata Motors in 2007 with Dr Tim Leverton heading the engineering and Pratap Bose spearheading the design areas. After extensively searching for suitable materials and other tech developments, the initial concept called the C-Cube was signed off in 2013. 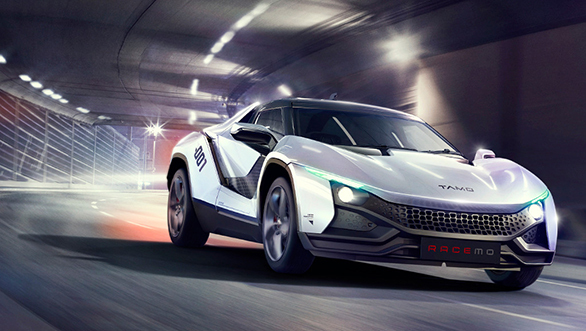 Project Racemo finally went on stream in May 2015 and in just 22 months Tata Motors managed to execute the entire project and prepare a near production ready version of the final product. The Racemo is a compact 2-seater sports car, measuring under 4 metres in length and with a ground clearance of 165mm. Those figures alone are astounding because amongst others it gives Tata Motors a distinct edge not just in India but globally. Not too many sports cars come under 4 metres in length and especially ones with just a 1.2-litre Revotron engine thats mounted mid-ship! Tata Motors astounded the gathered audience when they announced that the Racemo would be powered by their very humble petrol motor that also powers the Tiago and the Tigor, two small passenger cars. Except the engineers at TMETC have managed to massage this 4-cylinder turbocharged, intercooled petrol mill to deliver a 190PS of max power with 210Nm of torque. Power is delivered to the rear wheels through an advanced automated 6-speed transmission (AMT) using paddle shifters on the steering wheel. 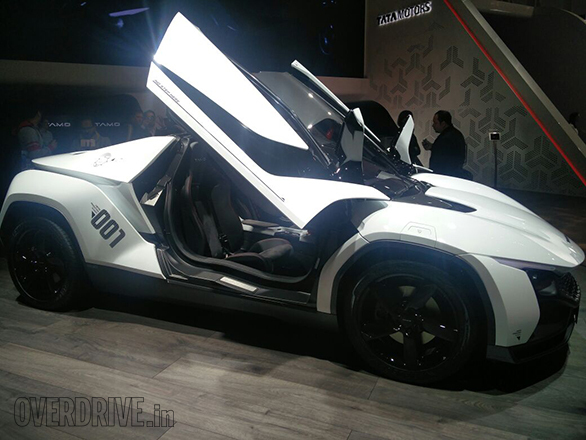 Tata Motors claims the Racemo is capable of accelerating to 100kmph in under 6 seconds. The Racemo's platform uses composite materials with a layer of lightweight foam injected in between them. This kind of structure gives the developers the required thickness by using stronger composite sheets to give it its structural integrity and strength with a layer of lightweight low mechanical characteristic foam bonding the sheets, think cottage cheese sandwich! The Racemo cabin is even more delightful to look at than the exteriors. 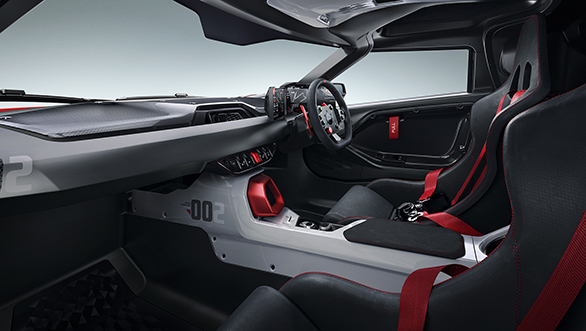 Its a 2 seater, with race bucket seats with a 3-point harness or an optional 4-point harness. 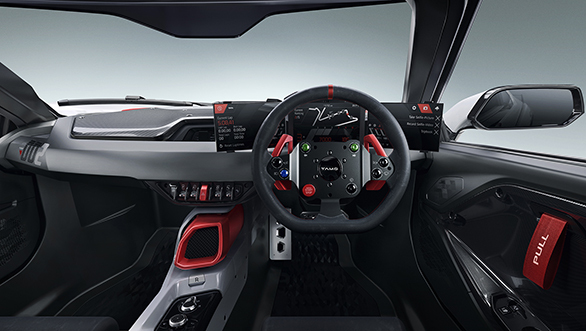 Aircraft style buttons, a race mode, driving mode selectors add to the entire effect but pride of place is taken up by the steering wheel and the instrument console which will make it as is to production. The three touch screens not just display all the information required, they also allow control over various functions, silliest of them all: a Selfie camera! The steering wheel has buttons that do not change radio stations, instead they control ancillory functions of the car, like the lights, windshield, indicators, even the starter switch is on the steerign wheel! There's also ample bits of carbon fibre and aluminum splayed inside this cabin. Tata Motors will limit the Racemo to what we hear is just 100 units, but given that the numbering sequence stickered across the side panel of the Racemo read 001, this number could go up to 999, if the market demands it. Tata Motors is also hinting at a unique manufacturing structure, where kits would be delivered to dealers around the country and then assembled there. This means dealers would have to increase their investments and it also puts another question mark on the capability of the crew that will put these cars together. Speculation is also rife that the Racemo could retail for under Rs 25 lakh, given its sub 4-metre length, 1.2-litre engine and 165mm ground clearance that allows it to avail of all reduced duty benefits prevalent in India. We'd simply wait for its end of year launch and hope that Tata Motors could continue to astound the masses with a handsomely priced product.